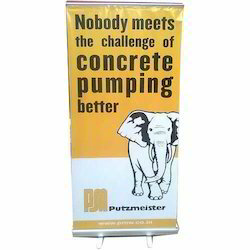 Prominent & Leading Manufacturer from Pune, we offer rollup banner stands, promotional stands, display standees, roll up standee and luxury standee. 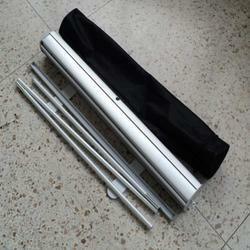 We offer a range of Rollup Banner Stands which are portable and easy to use. This kind of displays are generally used for exhibitions, trade shows, product launches etc. These are dynamically balanced and can be placed conveniently. These are also available in different sizes to meet the client's specifications. We offer a wide collection of Promotional Stands (Display Stand) in different color combinations and innovative designs. The detailed stitching make it the most attractive amongst the entire range of products offered by us. These are available in various sizes. Coupled with flex printing. 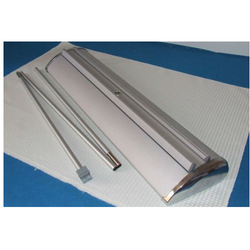 Our range is manufactured using superior quality materials. These are colorfast, durable and are available in a wide choice of eye catching colors and attractive designs. We are fabricating Display Standees (roll up banners), which are extensively used for exhibitions, trade shows, product launches, hotel foyer welcome signs and reception area signage for displaying products. These are specially designed to be placed in any place. Further, these are light in weight and are available in different specifications as per the requirements of the clients. 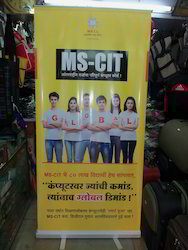 We are a trustworthy organization in the market, actively engrossed in offering a wide gamut of Roll Up Standee. We are a trustworthy organization in the market, actively engrossed in offering a wide gamut of Luxury Standee. 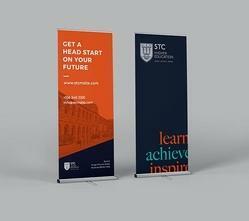 Looking for Roll Up Stands ?